Zack Wheeler and Steven Matz will swap spots in the rotation, giving Matz the nod to go head to head with fellow lefty Patrick Corbin. In the top of the fourth, J.D. Davis would hit a laser beam over the centerfield wall, putting the Mets up by one. The home run would have an exit velocity of 114.7 MPH, which is the hardest hit home run of 2019, so far. 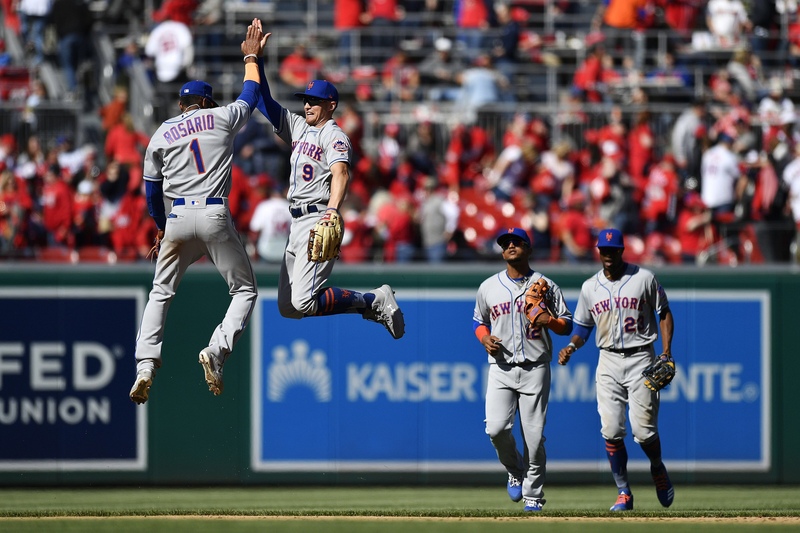 The Nationals would get one back when the Mets played the infield back with a runner at third and Zimmerman grounded out to Rosario to tie the game at one. Davis would hit his second home run of the afternoon, an absolute bomb into the left field stands, giving the Mets the lead again. Conforto would follow with a home run of his own, his first of the season, putting the Mets up by two. The Mets bullpen would get into trouble as they would eventually take the lead, featuring two home runs off of Familia in the same inning. The Nationals would take the lead with a 5-3 score. However, the lead would not last long as Pete Alonso hit his first homerun in Flushing, Queens. The homerun is his second of the season. Robinson Canó would immediately follow with a homerun of his on tying the game at five, the homerun is also his second of the season. Keon Broxton would hit a line drive single over the second baseman’s had to give the Mets the lead in the bottom of the eighth inning, Edwin Diaz would come on to close the game pitching a 1-2-3 inning. It would go down as Diaz’ fourth save of the season. Matz pitched 5, giving up two hits but also 4 walks on the afternoon. He struck out eight as he picked up a No Decision, Familia would get the win.